It’s almost never too young to learn to fly! Have you always dreamed of learning to fly? Do you wish you could soar like the birds and experience the joy and freedom of piloting your own airplane? Well we recommend you stop dreaming and start training! Learning to fly at Monmouth Airport may be one of the safest, most stress free places to learn to fly in the country. Monmouth has two runways including a 7300′ main runway which is longer than the commercial jet runways at LaGuardia Airport. Add to that our uncrowded airspace and you have the perfect no-stress, safety enhanced environment in which to learn to fly with the eagles. Learning to fly provides individuals and families many practical options as well. Now instead of packing them into the car for the 6 hour drive to Grandma’s, you can zip to your local airport and treat everyone to the thrill of flying to Grandma’s in a little over an hour. Even if you don’t own a plane, rental companies at local airports (including Monmouth Executive Airport) abound and it is relatively easy and inexpensive to rent a plane for an afternoon, a day, a weekend or longer. And if you someday wish to own, then we respectfully submit that there is no better place to hangar your aircraft than at Monmouth. Am I physically qualified to fly an airplane? Is it safe to learn to fly in a busy place like New Jersey? Flying lessons at Monmouth Executive provides some unique answers to these questions. For starters we are just outside of of NY area class B airspace and 1 mile outside of mode C airspace. What that means is that we are in a uniquely low traffic corridor of airspace. When you learn to fly at Monmouth Executive, you generally own the sky, a very different experience than learning to fly at Teterboro Airport or Morristown Airport. KBLM hosts the Eagles View Flight School which has taught pilots since 1993 on both single and double engine craft. For those who don’t own a plane these aircraft are available for rental after you become a pilot. Their planes have flown up and down the east coast and from New Jersey to California. For more information on the Eagles View Flight School visit their NJ Flight School page on our website. How do I get started with Flying Lessons in NJ? To get started you will need to obtain a student pilot certificate. To get this an aviation medical examiner (AME) typically gives you a student pilot certificate to fill out as part of the third class medical exam. Your flight instructor will likely refer you to a local AME, or you can find an examiner online. A student pilot certificate is valid for the duration of your third class medical – 60 months for student pilots under age 40, and 24 months for student pilots age 40 or older. A student pilot certificate is issued as a combination student pilot certificate and third-class medical and is valid for the duration of your third-class medical certificate. What health requirements must be met in order to take flying lessons? Your vision must be at least 20/40 for near and distant vision with or without corrective lenses, and you must be able to perceive those colors necessary for the safe pilot performance. For general health and medical-related questions, refer to AOPA’s medical subject reports Web page prior to visiting your AME. The minimum number of flight hours you need depends on the type of certificate. Under Part 61 of the federal aviation regulations, the minimums are 20 hours for a sport pilot certificate, 30 hours for a recreational certificate, and 40 hours for a private pilot certificate. Some schools operate under an alternate regulation, Part 141, which provides more FAA oversight, more rigid schedules, and more paperwork. The added requirements allow them to reduce the minimum hours of private pilot training to 35 hours. However, many schools believe that a true average flight training time for a private pilot is between 50 and 60 hours, whether the school operates under Part 61 or Part 141. Part 141 schools have more FAA oversight, more rigid schedules, and more paperwork. For the added requirements, they are allowed to reduce the minimum required hours of private pilot training to 35 hours, rather than the 40-hour minimum required when training at a Part 61 flight school. The Part 61 school, on the other hand, is able to be more flexible with training schedules and has the ability to tailor the curriculum to meet individual students’ training needs. Either school must train you to pass the very same practical test. How old do I have to be before I can start taking flying lessons? 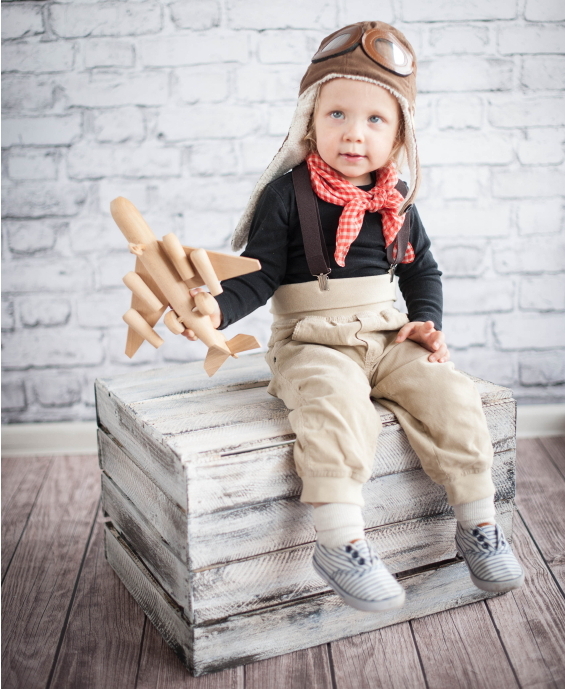 You don’t have to be a particular age before you can begin to take flying lessons. You do have to be at least 16 years old before you can solo an airplane and 17 before you can be issued a pilot certificate. How old is too old to begin flying lessons? To be eligible for a private pilot certificate the person must be at least 17 years of age, be able to read and write and understand the English language. Essentially there is no upper age limitation as long as you can pass the physical and vision requirements. Everyone from teenagers to seniors can and has learned to fly. Many seek it as a new activity in their retirement! In summary, if you’ve always dreamed of learning to fly you won’t find a more relaxed, uncrowded, and safe environment to learn than at Monmouth Executive Airport. To see our flight schools visit our Flight Schools NJ page for more information.